Many readers message me asking to meet up for coffee or a beer. Most people just want to pick my brain and learn more about this beautiful city. Since I really don’t have time to meet up with everyone I decided to start doing monthly language exchanges at different places around the city. This month we will be back at Ondas Cafe & Hostel in Floresta. There are usually about 100 attendees and everyone has a great time. I like Ondas because it’s different. It’s not a traditional hostel. 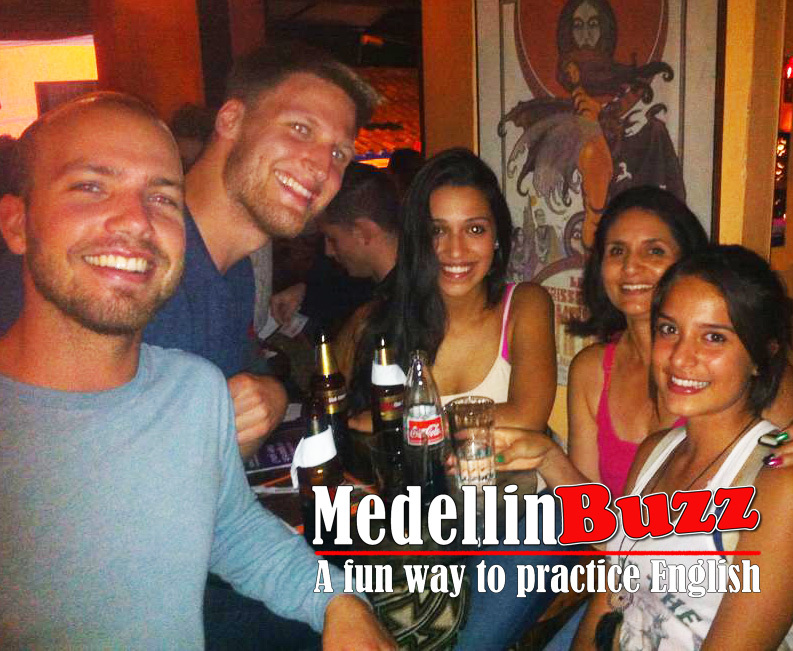 First of all it’s located in Floresta, which is not a tourist destination in Medellin, but the neighborhood is great. I lived in Floresta for 6 months and I really liked it, It’s flat, easy to get around, and the metro station is convenient. The Language Exchange Party will bring people from all around the world to mix n mingle. Delicious food and drink specials will be available all night, including a new beer barrel system, chilled and ready to dispense tasty artisanal (3 Cordilleras) beer. New friends are sure to be made as the night offers cool music, great atmosphere and fun games to help break the ice and loosen those lips. Ondas offers a perfect setting to expand your minds, develop your skills and be part of a true international gathering. Ondas offers 3 beautiful floors and numerous spaces to accommodate up to 250 people. Multiple bars, lounge spaces, sprawling balconies and a 360 degree mountain view roof terrace are open to all. Drinks: Drink specials will be available throughout the night. Showcasing our new partnership with local craft beer manufacturer 3 Cordilleras, a tri-variety keg system will dispense both standard sized beers as well as Jugs. It’s not often that you can get local craft beer in pitchers in Medellin. Andrew, thanks for the informative posts. In town from 27 Nov. to 1 Dec. Any plans for another language exchange event? Fluent English y Proficient Spanish..